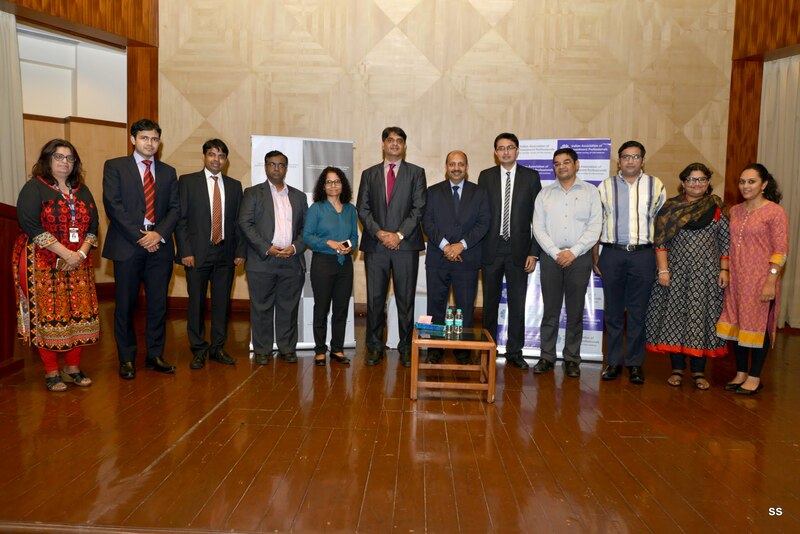 The Indian Association of Investment Professionals (IAIP) organised an insightful session on “What Can Blow Up in Your Portfolio?” by Raj Manghani, CFA, Managing Director, Financial Analytics, MSCI – ‎MSCI Inc. at the NSE auditorium on 14 July 2016. Raj began his session by speaking about his role at MSCI in terms of risk management and outlined three important parts of risk management. Avoiding big mistakes: If you don’t understand a product don’t get into it. He cited the examples of CDOs market where some of the product’s documents ran into billions of pages. The question then an investor should ask is: who is going to read these papers? “I can’t read more than four pages at a time!” he quipped. Creating a robust portfolio: Citing Peter Lynch’s philosophy, Jay explained that an investor should know ‘what you own’ and ‘why you own’ it. Rebalancing: An investor should be concerned about portfolio growth and risk tolerance. Rebalancing is necessary at a certain interval of time during the life of the portfolio in order to control risk. This rebalancing should not only be done at asset class level but also across asset class. Raj emphasised the difference between volatility and risk. He explained that volatility is a dispersion of asset / portfolio over mean, with a few standard deviations on either side, but this is not risk. Unless the portfolio loses its value, there is no risk. While volatility can be quantified; risk, however, is the uncertainty that can lead to significant loss. He explained how factor models use risk management, portfolio management, asset allocation and risk budgeting and board reporting at the top of the model. At a basic level any risk management starts with “what if” questions. There are broadly four ways of risk assessment –- scenario analysis, stress test, shock, and sensitivity analysis. Raj also explained the macroeconomic stress test which is based on two parameters: shock to GDP, and shock to inflation. While shock to GDP has an impact on equity prices, shock to inflation has greater impact on bond prices. Raj outlined four risky situations that MSCI modelled for its clients’ portfolios. These four scenarios are: Brexit, shock to oil price, China slowdown, and US Fed reaction. He explained the outcome of Brexit in two possible scenarios: Moderate impact which can lead to moderate spill over, and EU contagion – a pessimistic case, that can have far reaching implications. As per recent statistics, half of the UK’s exports go to EU and EU accounts for 15% of the UK’s GDP. Brexit would have repercussions on equity, bond and currency across the globe depending upon which country is how far from Britain in terms of economic distance. For example, Germany would have the maximum impact of Brexit among all the nations of the world due to its dependence on UK. India, on the other hand was among the farthest nations in terms of economic distance from EU. Hence, a 100% loss to UK economy would only transfer 1 basis point of loss to the Indian economy. He showed that India stood to have -0.2% impact on its economy over a period of one year under moderate scenario. On the other hand, under complete EU disintegration, a pessimistic worst case scenario, India stood to lose -2.2%. Consider this result with the Indian market reacting by -4.7% over a day, i.e. 24 June 2016, wasn’t it an overreaction? It definitely was! While outlining the pessimistic scenario of EU contagion, Raj’s model assessed the impact on the real economy including logistic and legal problems of Brexit, capital flight and financial systemic distress. Under this pessimistic scenario, the model projected a GDP growth of UK at -4.3% which would lead to UK equity market falling to -22.4% and UK Government bond yield falling to -0.65%. Overall, the impact of Brexit would be more painful for EU nations than it would be for Japan or the USA. While outlining the impact of oil prices in three scenarios: price at $10/barrel, price at $35/barrel with perception of increased risk, and price at $35/barrel with perception of low risk, Raj showed that oil at $10 is not a good situation even for a consumer of oil or oil consuming nations. According to his model, the $10/barrel price of oil would lead to global equity price falling by 22.6%. China’s slowdown, however, would definitely be more painful for India than the case of Brexit. India faces a 15 basis point risk of slowdown for 100% slowdown in Chinese growth. Scenario analysis and stress testing is an integral part of investment risk management in highly uncertain times, concluded Raj before leaving the floor open for Q &A. This entry was posted in Events, Mumbai, Speaker Events and tagged Anil Ghelani CFA, BREXIT, EU contagion, IAIP, Jainendra Shandilya CFA, Jayna Gandhi CFA, MSCI, Portfolio, Raj Manghani CFA, Sonia Gandhi CFA. Bookmark the permalink.